Offered for sale with no onward chain and being well presented throughout is this 3 bedroom semi detached family home that boasts an open aspect, modern fitted kitchen/breakfast room with a central island/breakfast bar. This gas central heating and uPVC double glazed property comprises of an entrance hall, living room with a fireplace feature and a lovely open plan kitchen/breakfast room with integrated appliances and a large central island/breakfast bar. On the first floor are 3 bedrooms and a family bathroom. 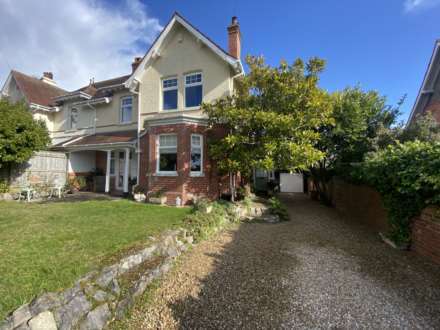 The property further benefits from a driveway that provides off road parking for 2 motor vehicles and an enclosed and level garden to the rear. A lovely open aspect space that has a window to rear. Sliding patio doors to rear that lead out to the garden. Range of floor standing and wall mounted cupboard and drawer storage units with wood effect work surfaces and tiled splash backs above. Large matching central island that has a breakfast bar and storage beneath. Built in 4 ring gas hob with an electric oven below and a splash back and filter hood above, Inset stainless steel single sink and drainer unit with a mixer tap above. Integrated fridge and freezer. Space and plumbing for a washing machine. Concealed, wall mounted, gas fired boiler. Laminate flooring. Upright radiator. Wine rack. Window to front. Radiator. Useful built in storage cupboard with a small hanging rail. Window to rear. Coved ceiling Radiator. Obscure glazed window to side, White suite comprising of a panelled bath with an electric shower above, tiled splash backs to splash prone areas and a shower curtain. Low level WC. Pedestal wash hand basin. Vinyl flooring. Radiator. Extractor fan. Coved ceiling. To the rear of the property is an enclosed and level rear garden that has a paved patio laid adjacent to the rear of the property, ideal for outdoor dining and sitting during finer weather. The majority of the rest of the garden is then laid to shingle with a central area laid to lawn. Shrub bed to one side of the garden. Range of plants, shrubs and trees. Timber panelled storage shed. Aluminium storage shed. Timber fenced boundaries. Outside water tap and lighting. From our prominent town centre office, proceed onto Exeter Road before taking a right hand turning into Hulham Road signposted Ottery St Mary and Pound Lane. Proceed along this road for approximately 1 mile. Before leaving Exmouth, take the last road on the right into Dinan Way and then the 3rd right into Byron Way. Continue down, past Wordsworth Close on the right, where the property can be found on the right hand side, clearly identified by our For Sale board.